Being the first match day and the opening fixture, every player is excited, and they need to calm their nerves if they don’t want to mess up on the big day. Deportivo Alaves is the newly promoted club, and it will be tough for them as they have to adapt to the top tier football as fast as they can. Atletico Madrid, on the other hand, is one of the best clubs in the world and would be looking forward. 22nd August 2016 at 01:45 (IST). 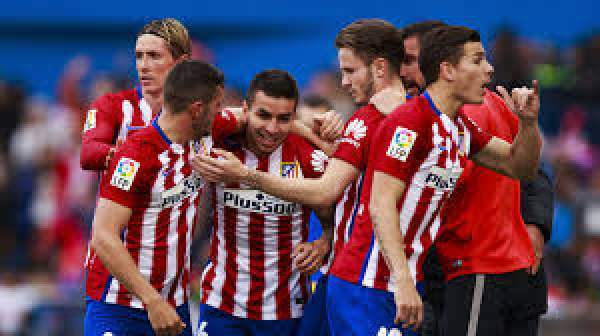 AtleticoMadrid has been one of the strongest clubs in the world in the recent years. They have produced some excellent players like Fernando Torres, Diego Costa, Antoine Griezmann, etc. over the past times. They made the Primera Division more competitive as it was more of a race between Real Madrid and Barcelona but now the story has changed. Last season was very disappointing for them as they finished third in the table with 88 points from 38 games. They won 28 games, drew four and lost six, scoring 63 goals and conceding just 18 goals in total. If they did not lose their penultimate match day game, they would have finished above Real Madrid for sure and with same points as Barcelona. Antoinne Greizmann was their top scorer in the league with 22 goals to his name, and Fernando Torres had 11 goals to his name. Koke had the most assists as he had 14 to his name. They have bought Kevin Gameiro from Sevilla to strengthen their attacking force for 32,000,000 Euros. Deportivo Alaves won the Segunda Division last season and got promoted in the Primera Division. They finished first in the table with 75 points from 42 games as they won 21, drew 12 and lost nine in total. They scored 49 goals and granted 35 with Toquero being their top scorer as he had nine goals to his name. They scored a total of 49 goals and conceded 35 with Toquero scored nine goals to his name. Alaves have gone 10 years without playing in the top tier of Spain and this is a very big thing for the team and the fans as well who have been supporting the team for so long now.